I just found your blog via Food Gawk and i must say your pictures look amazing! Any tips to share? as you can see, my pictures are that nice. 2) position your food so the light comes from the side or from behind. 3) use a white or silver card to reflect light from the window into the shadow side of the food. 4) use a shallow depth-of-field… open the aperture of your lens to its widest f-stop, and be very selective with your focus. omg!!! these look so gorgeous!! 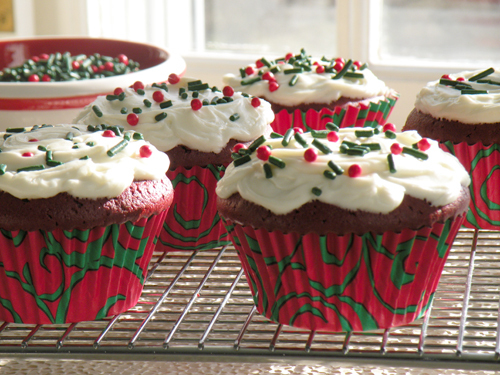 and i love the red velvet idea. i made a red velvet cakes last month,and it was so delicious , we don’t know that here in Holland..great job!! !